The West Highland Way passes through some of the most spectacular scenery in all of Britain. From the outskirts of Glasgow it winds for 95 miles (152km) along the wooded banks of Loch Lomond, across the wilderness of Rannoch Moor, over the mountains above Glencoe to a dramatic finish at the foot of Ben Nevis – Britain's highest mountain. The 6th Edition includes accommodation, pubs and restaurants in detailed guides to 26 towns and villages from Glasgow to Fort William. 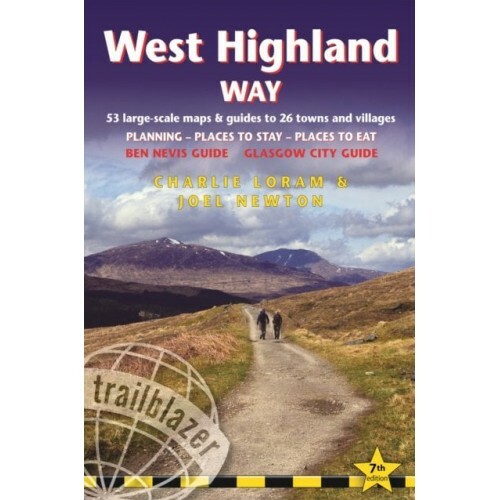 Includes 53 detailed walking maps: the largest-scale maps available - at just under 1:20,000, these are bigger than even the most detailed walking maps currently available in the shops. Unique mapping features - walking times, directions, tricky junctions, places to eat, points of interest. These are not general-purpose maps but fully edited maps drawn by walkers for walkers. Itineraries for all walkers – whether walking the entire route or sampling the highlights on day walks and short breaks. Practical information for all budgets – . What to see; where to eat (café, pubs and restaurants); where to stay (B&Bs, hotels, bunkhouses, hostels, bothies and campsites). Fully updated - the entire route has been re-walked and all details re-checked for this new edition. 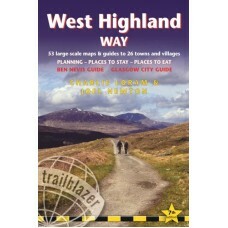 Includes guides for Glasgow City and Ben Nevis.